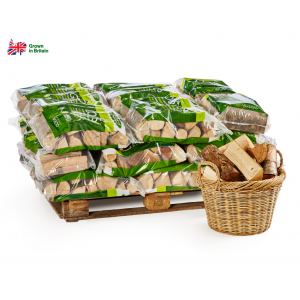 30x bag pallet of British kiln dried logs for immediate burning on all wood burning appliances. 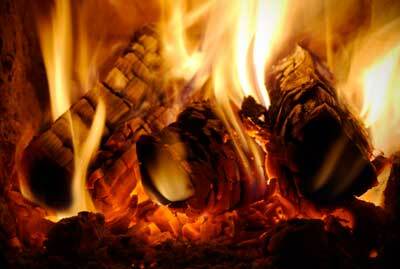 Our 30-bag pallet of British kiln-dried logs is ideal for immediate burning on all wood-burning appliances. 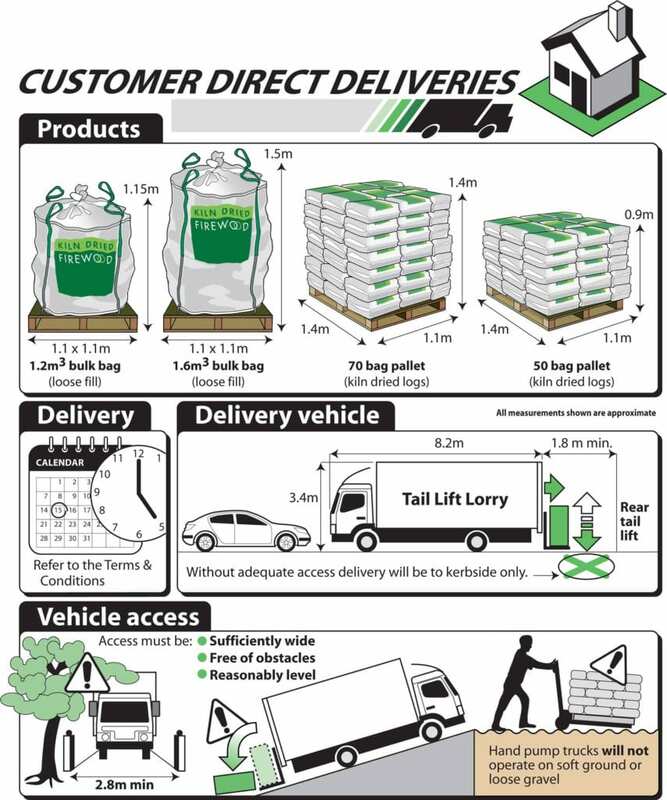 This is a handy-sized pallet and is much more compact for delivery than the larger 70-bag pallet. 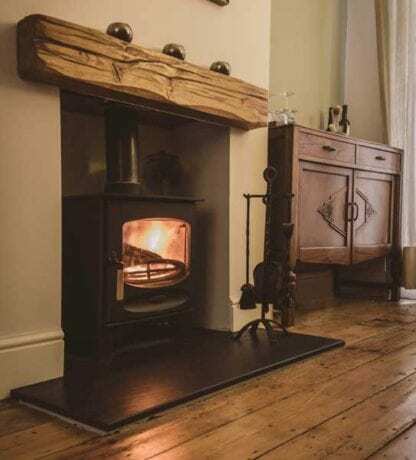 The advantage of the small bags is that not only are they easy to carry into storage, which must be dry, but they’re also convenient for carrying into the house when needed. 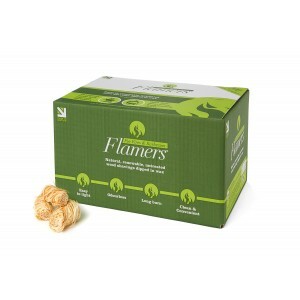 We would recommend three boxes of kindling and two boxes of 50 Flamers natural firelighters for this size bag. Standard length kiln dried logs that will fit 99% of wood burning or multi-fuel stoves. 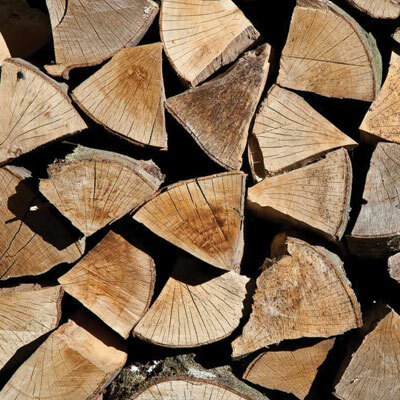 Log length = 25cm logs (9.8 inches). Tolerance on length is +/- 10%. 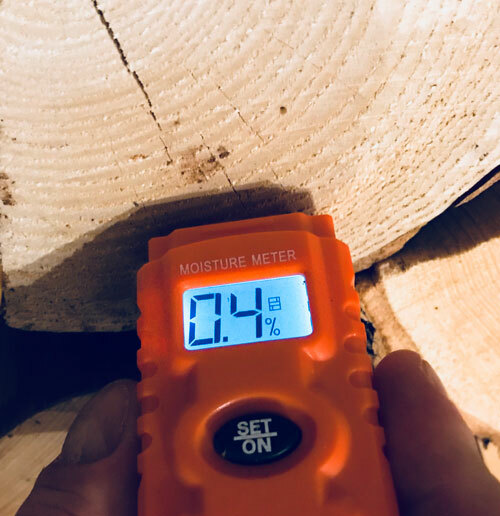 Log diameter = 5 -15cm (2 – 6 inches) measured across widest point of the log. 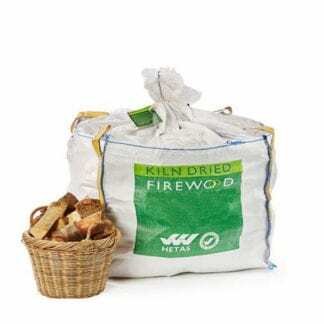 Pack Size: 0.02m3 (stacked volume) Approx 10-15 logs per bag. 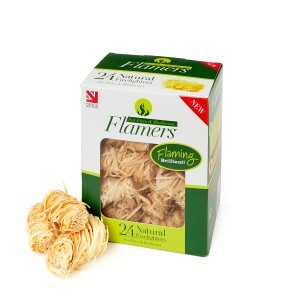 Log Length: 25cm (9 ¾”) Tolerance on length is +/- 10%. Log Diameter: 5 -15cm (2 – 6”) measured across widest point of log.